After 14 years in children’s bookselling it sometimes feels like all the big firsts for my bookstore are probably in the past. Thankfully, that’s not true. Many children’s booksellers offer in-store birthday parties, which can be profitable on multiple fronts: the rental fee for the space and service, as well as bringing parents and caregivers of the little guests into the store the day of the event, and creating positive word of mouth marketing after the fact. To be honest, my attempts to launch a birthday party program at Spellbound have had mixed results. I’ve had slightly more success hosting baby showers in the bookstore, helped by the now years-long (and hopefully never ending) trend of parents-to-be asking that guests bring a book for the baby in lieu of a card. Last week Spellbound hosted its first adoption shower. This is something I have thought about promoting in the past, but this particular shower had a unique twist: the adoptee in question was a horse! A six-year-old Arabian named Comet, adopted by a member of Spellbound’s longest running book club. Comet is a bit of a runt and was having trouble finding a home, but book clubber Carrie is very slight and Comet is a perfect fit for her. 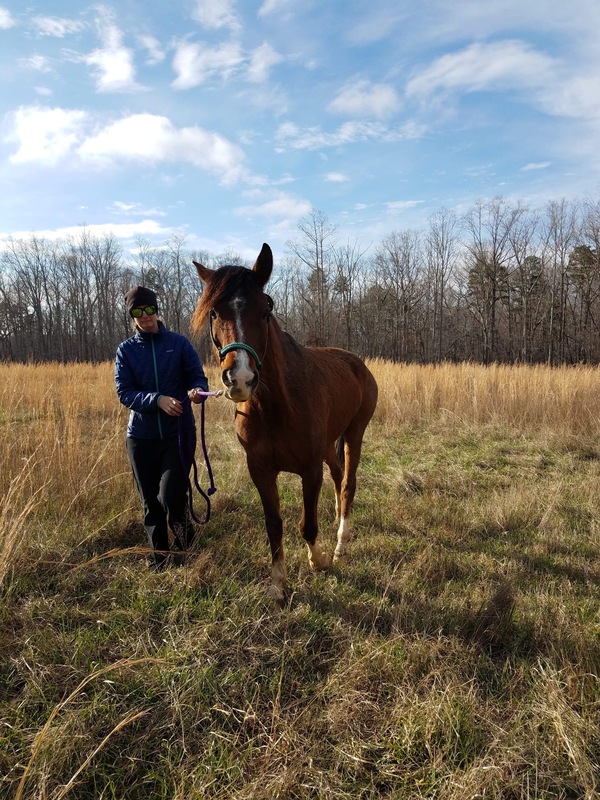 Carrie doesn’t have (human) kids and doesn’t plan to, but has dreamed of having her own horse since she was a small child. So the book club decided to throw a “shower” to celebrate the new addition to her family, complete with cupcakes and presents. Instead of books and toys and blankets and bottles, this new equine mom got a mane and tail comb, a hoof pick, a block of Himalayan salt to hang in Comet’s stall, and other assorted goodies including some nifty socks featuring pictures of horses. OK, the socks were for Carrie, not the horse. 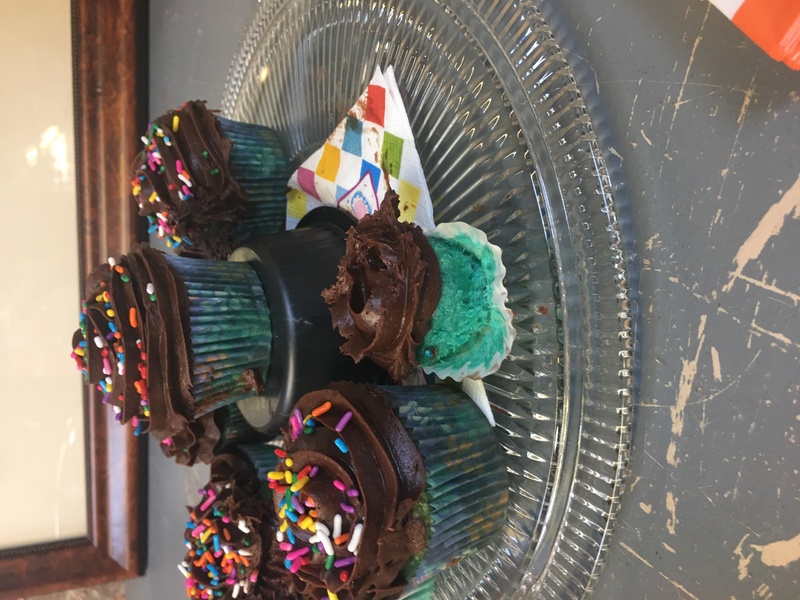 Gender-reveal cupcakes! Although Comet will not be pressured to conform to traditional gender norms. Sadly, Comet wasn’t able to attend his adoption shower in person — there were some slight logistical complications. Still, I know he’ll enjoy all his goodies and his new family, and it was fun to have the bookstore be a part of it. This entry was posted in Uncategorized on March 18, 2019 by Leslie Hawkins.